The world of The Tiger Lillies is dark, peculiar and varied, with moments of deep sadness, cruel black humour and immense beauty. They perform a live soundtrack for The Ballad of Sexual Dependency, one continuous piece of music that evolves and underscores the beauty, pain, joy, tragedy and sorrow of relationships and the startling images by Nan Goldin. The forty-five slide show, including over 700 images and a sound track, functions like a film. The Ballad of Sexual Dependency, constantly reedited and updated, began its public life on the club circuit in New York City and has since been shown at museums, galleries, film festivals, and alternative spaces both in the U.S. and abroad. The Tiger Lillies were formed in 1989 and as the decades go by their sound remains one of the most unique and original things one could come across. In 1989 Martyn Jacques, the band’s front man, songwriter and founder, he got his first accordion and The Tiger Lillies were formed shortly after. The Tiger Lillies stood out immediately for their distinct sound and style and worked their way up from London pubs to the Piccadilly Theatre and buskers’ benches to the Sydney Opera House. Soon the The Tiger Lillies were touring the world giving concerts and participating in various art and theatre projects. A couple of the many highlights in their career was the Olivier Award they won for the cult hit musical Shockheaded Peter and the Grammy nomination for their album The Gorey End. 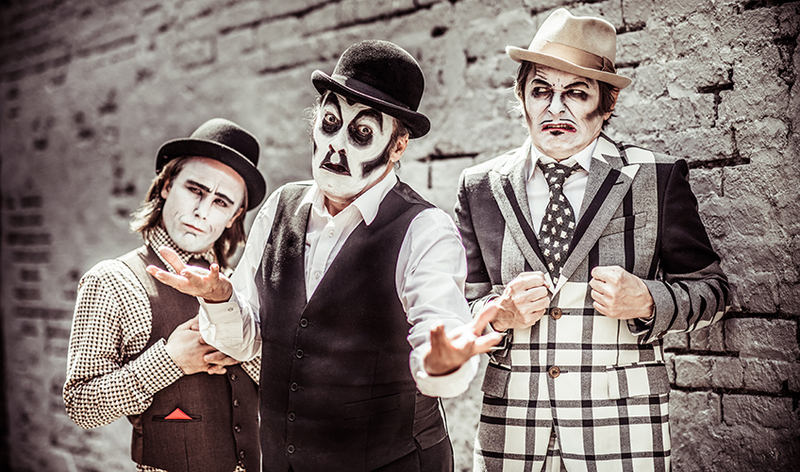 Within the last two decades The Tiger Lillies have been doing an average of over 200 gigs a year and despite spending so much time on the road they have managed to also release more than one album a year. They have participated in numerous shows all over the world, collaborating with artists of all disciplines: from circus performers to Shakespearean actors, experimental dancers to avant-garde photographers and burlesque puppeteers to classical music ensembles. Hence, their songs cover all the dark aspects of life, from prostitution and drug addiction to violence and despair. tickets: 25 € parterre and e balcony / 20€ gallery.